The Halloween decorations have been packed away and the holiday decor has been unveiled at the Happiest Place on Earth. As much as I adore Halloween Time at Disneyland, the Christmas holiday season is perhaps even more magical. My family has been able to make quite a few trips to experience the Disneyland Holidays over the years. I was just able to return in 2018 for the media event to launch the holiday season to check out all the returning and new offerings. And it’s lucky I did because there is so much more happening than even just a few short years ago! Here’s what you need to know before you go to Disneyland during the holiday season in November and December 2018 and during the first week of January 2019. HOT! Limited Time Ticket Deal for Rest of 2018! Updated November 10, 2018: As the year comes to an end, the Disneyland ticket deals always keep getting better! And it doesn’t get any better than the current Black Friday deal from Trips With Tykes partner Get Away Today. They are currently offering up to $95 per person off tickets for select dates (biggest deals are in the spring with Easter week blacked out) — BOOK HERE for all the discounts. They have great savings on vacation packages as well, so be sure to use my exclusive promo code TYKES10 for an extra $10 off all package stays of 2 nights or more. Remember too that Disney has historically increased prices in early February every year, so you lock in 2018 pricing for 2019 visits as well with this deal. When Are the Disneyland Holidays? The Disneyland holiday season in 2018 officially runs from November 9, 2018 to January 6, 2019. A few of the offerings will continue until January 8, 2019 for Three Kings Day as well. This is the third year in a row that the celebration kicked off in time for the Veterans Day holiday weekend. If you are reading this guide in subsequent years where the dates fall differently, I’m guessing it’s now safe to say that this earlier start date will likely hold firm in the future. And never fear if you have an early November visit either because many of the decorations go up even before the official opening date of the holidays at Disneyland. Disneyland park has had three special ride overlays for the holiday season in previous years. Sadly, one of these favorites, the Jingle Cruise, was retired in 2017. I must admit that I will miss the corny fruitcake cokes. Jack Skellington and his Nightmare Before Christmas pals take over the Mansion with their version of Halloween and Christmas mixed together. Haunted Mansion Holiday is a continuation of the overlay already in place from the Halloween season, so it’s already ready to for early November visitors. Haunted Mansion Holiday offers Fastpass, so plan accordingly to save time in what can otherwise be a very long standby line. The new Disneyland MaxPass may well be a smart investment if you want to avoid the long trek through a busy New Orleans Square to the Fastpass distribution kiosks. Outside, the facade of this classic Disney ride is decorated with thousands of twinkling lights that are breathtaking at night. Inside, Christmas lights and decorations adorn every room and the children sing Christmas carols in a medley with the traditional “it’s a small world” song. In my opinion, the holiday version is better than the original! Be sure not to miss the projections and musical shows that run about every half hour on the facade at night (check the showtimes guides for exact times). Like Haunted Mansion Holiday, it’s a small world Holiday offers Fastpass/Maxpass which is very necessary during the middle of the day and on busier park days. Early morning and late night visitors on reasonable crowd days, however, may be able to get on with minimal waits. Over in California Adventure, there are a few more ride overlays as well. In Cars Land, two rides have gotten holiday transformations. Mater’s Junkyard Jamboree is now Mater’s Jingle Jamboree and Luigi’s Rollickin’ Roadsters turned into Luigi’s Joy to the Whirl. These overlays are nowhere near as extensive as the ones in Disneyland and mostly just feature some decor and holiday music to help set the seasonal mood. But these are especially great attractions for toddlers and preschoolers at Disneyland with often very reasonable lines so I highly recommend them! Disneyland’s holiday parades and shows include several of the classics that have been going strong at Disneyland for years. Returning is “A Christmas Fantasy” Parade which runs in the daytime in Disneyland park – usually twice daily. Characters like Goofy, Pluto, Anna & Elsa, Buzz & Woody, and several Disney princesses and princes ride on the holiday themed floats. And it’s all capped off with Santa himself closing the parade. The parade is always popular, so plan to camp out at least a half hour or more for prime seating on its route from it’s a small world to Town Square. After the sun goes down, the Believe… in Holiday Magic fireworks show is another can’t-miss. Projections appear on the castle and Main Street USA. And it all ends with a magical snowfall. Who said there’s no such thing as winter weather to California? Over in California Adventure is ¡Viva Navidad! – part parade and part street festival. It is part of an expanded celebration that debuted in 2016, Festival of the Holidays, which is also making a return (more on that below). I finally got to see ¡Viva Navidad! for the first time in my recent visit and must admit it exceeded my every expectation. The show is led by the Three Caballeros and features Mexican and Brazilian dancers and music. It’s a joyful celebration that had everyone dancing and singing along. Note that the popular “World of Color – Season of Light” is not around for 2018, but look for its possible return next year. The debut of Festival of Holidays in 2016 was a resounding success, resulting in a major expansion in 2017. It’s back and just as big as ever for its third year now in Disney California Adventure. Festival of Holidays celebrates diverse cultures from around the world, with musical performances, crafts, dancing, and FOOD – lots of it. Expect to see nods to Christmas, Navidad, Diwali, Hanukkah, and Kwanzaa. The concert schedule is robust so be sure to check the times guide or the Disneyland app to see when shows will take place. The other the big draw for this festival is the food. Fans of food festivals like Disneyland’s Food and Wine Festival or Epcot Epcot Flower and Garden Festival will enjoy a new holiday spin on that same tradition: the Festive Foods Marketplace. The marketplace features a dozen booths with holiday treats and drinks, including many specialities new for this year. I tried 9 different items during my two day visit and was wowed by pretty much every one. Favorite included the shrimp and grits (of course – I’m Southern! ), holiday stuffing mac n cheese, turkey slider with cranberry dressing, and hot cocoa macaron. While visitors can certainly order the food items a la carte, I was especially excited to see that the “Sip and Savor” pass was available to all guests for this event. Traditionally, this offering was only available to Annual Passholders. The Sip and Savor pass comes with 8 tickets for any of the food, dessert, or non-alcoholic drink options at the Festive Food Marketplaces. It’s a great way to taste a wide variety of foods while saving money. It’s $54 for all guests or $49 for Annual Passholders. What holiday outing is complete without a chance to see the big man himself? You can sit on Santa’s knee in both parks this year, so he’s always available even if you don’t have park hopper tickets. In 2018, head to Critter Country in Disneyland park for a photo opp. In Disney California Adventure, he’s over at Redwood Creek Challenge Trail where you can also decorate cookies and sip hot drinks. You can almost always find Photopass photographers at each location to get everyone in the holiday shot. A huge part of the magic of the holidays at Disneyland is the decor. In Disneyland, the most unique decor undoubtedly goes to the Mardi Gras colors and themed Christmas decor in New Orleans Square. Always a favorite is the giant tree near the park entrance on Main Street, U.S.A., which is a new tree in 2018. Finally, Sleeping Beauty castle decorated with a winter overlay that lights up at night is a spectacle to behold. Over in Disney California Adventure, Buena Vista Street and Carthay Circle get festive. But the crown jewel is in California Adventure in Cars Land. Neon and holiday lights combine for true holiday awe at night. Plus, the tire themed wreaths and decorations add a whimsical flair in keeping with the movie’s humor. 1. Prepare for crowds: The Holiday season at Disneyland is always popular, so plan accordingly. If you are expecting to go on a crowded day, read up on my best line Disneyland avoidance tips and on things to do on a crowded Disneyland day. More than any other time of year, the brand new MaxPass system (which allows guests to book Fastpasses on their smartphone without running from ride to ride) is well worth it to avoid being held up in park choke points. 2. Don’t pay full price for your tickets: This tip is true all year round, but who couldn’t particularly use a little extra cash in your pocket around the holidays? The bottom line is that I don’t recommend buying your tickets from Disney. Why? You’ll pay full price! I have a partnership with the largest seller of Disneyland vacations, Get Away Today, where you can buy any multi-day tickets or Disneyland vacation packages at a discount – and usually the discounts for the end of the year are some of the best ever. Use promo code TYKES10 for an extra $10 off all package stays of 2 nights or more. 3. Make time for shopping: The merchandise at Disney is always pretty amazing, but Disney goes all out for holidays and special events. You can always find some special holiday gifts for Disney fans on your list. With the new World of Disney Store having just reopened, the shopping opportunities are better than ever. 4. Treat yourself: And it goes without saying that you’ll be tempted by at least a few of the holiday treats. Outside of the Festival of Holidays Festive Food Marketplaces, churros are definitely the food star of the season in 2018. There are 7 or 8 different varieties, from peppermint to sugar plum. All the sweet confections and candies are back in several locations too. 5. Don’t forget the hotels and Downtown Disney: Last but certainly not least, it’s not only the parks that get a holiday makeover during the holiday season. Downtown Disney has festive decor and the hotels really go all out too. I stayed in Disney’s Grand Californian this year, and the tree and gingerbread house in the lobby are a sight to behold. Want to celebrate the holidays in Florida instead? Luxe Recess has the scoop on Christmas at Walt Disney World and Mickey’s Very Merry Christmas Party. Can’t get enough of Disneyland during the holidays? 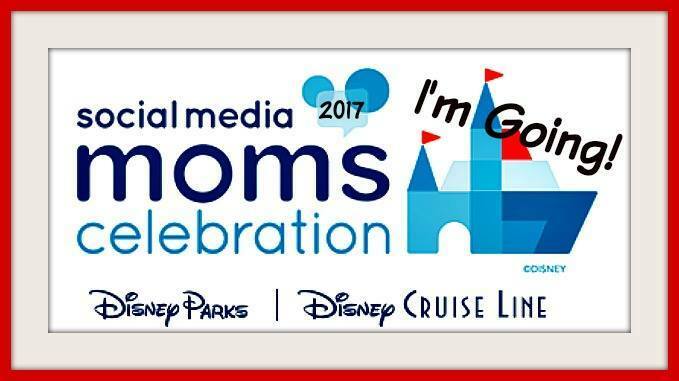 Check out my Pinterest board full of Disney holiday travel tips, decorations, recipes, and inspiration. Thank you for the excellent guide information it’s really a great help!